In a second more detailed paper on the use of transits to find the solar parallax, Halley (1715) actually discussed sites where the 1761 transit could be observed most advantageously. Here was the first time that Canada was mentioned. Halley suggested that Port Nelson (latitude 56º) on Hudson Bay could be paired with a location in the East Indies to give a long baseline. The Sun would have been almost setting in Port Nelson just as the transit began, and so his suggestion would not have worked out. In the event, no one was sent to North America from Europe in 1761 to attempt a sighting of Venus on the Sun. The only part of Canada where the 1761 transit was visible in its entirety was the inaccessible high arctic, and even from there the Sun would have been at a low altitude (the circumstances for June 8, 2004 were rather similar). The end of the transit was visible just after sunrise from the east coast, but no astronomer nominally associated with Canada observed the event because of the Seven Years' War (1757-1763). By the time of the fall of Louisbourg in 1758, French astronomers like Father Bonnécamps who had lived in Quebec, and the Marquis de Chabert at Louisbourg, had left the country. On the British side, two military men, the army engineer captain lieutenant Samuel Holland, and the ship's master James Cook, began mapping the Gulf of St. Lawrence. 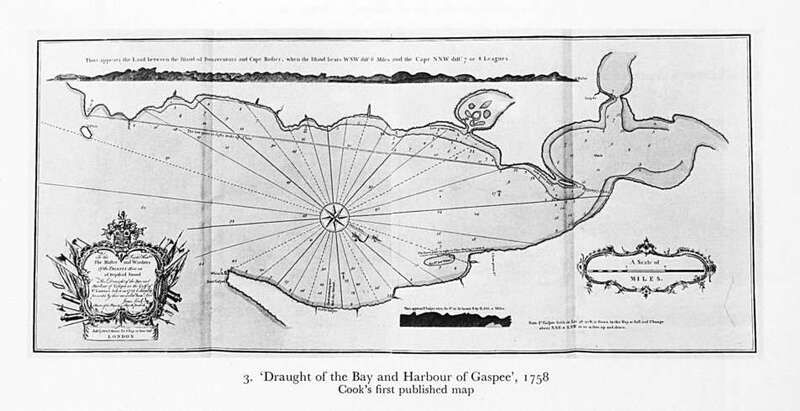 Under Holland's tutelage, Cook produced his first published map, "A Draught of the Bay and Harbour of Gaspee." Eventually, in 1769, both men would observe the next transit of Venus, but the War was a more important preoccupation in 1761. On a world-wide scale, the conflict made travel difficult but not impossible for scientific expeditions. As Maor (2000) has pointed out, "Some seventy stations spread around the globe [made this] the first large-scale scientific endeavour ever attempted." Perhaps one ought to say "large scale semi-coordinated scientific endeavour." Observations of the transit suffered from an unforeseen problem — the so-called black-drop effect, which at its subtlest could appear as an apparent dark thread connecting Venus and the Sun, and at its least subtle as a grosser distortion of the sphere of Venus itself, turning the planet's silhouette into a truncated teardrop. It was not known whether to time the breaking (or formation) of the effect, or the moment when the edges of the Sun and Venus appeared to be tangent; the two times could differ by as much as a minute. The unexpected indeterminacy played havoc with expectations of accuracy. All known observations of the two eighteenth-century transits were studied by Newcomb (1891), who tried to deal with the black-drop effect in a systematic way. A few years prior to the last transit Schaefer (2001) studied the phenomenon and attributed it to irradiation, while Pasachoff (2004) and colleagues found from analysis of space probe data that the black-drop effect chiefly results from solar limb darkening combined with image blurring attributable to atmospheric seeing and telescopic diffraction. Pasachoff's is now the standard explanation. We are unlikely to have heard the last of the black drop. The only observation of the 1761 transit recorded in North America was made by Professor John Winthrop of Harvard College, who travelled to St. John's, Newfoundland, since the phenomenon was not visible from Massachusetts (Shute 1980). Brasch (1916) says that Winthrop established "America's independence in scientific development," and that he was "regarded as the greatest mathematician of his age on this side of the Atlantic, ... equally keen as an observer of natural phenomena; accurate, methodical, and skilful." Winthrop (1764a) found his latitude in Newfoundland from several observations to be 47º32'N, but was very unsure of his longitude. In the end he used 52º50'W (3h31m20s). From Winthrop's description of the place, Smith (2003) has identified the site as Kenmount Hill (47º31'54"N, 52º47'32"W = 3h31m10s). Winthrop described his equipment; a pendulum clock, an octant, a refractor, and a reflecting telescope made by Benjamin Martin. And he explained how he and his assistants set up tents, and sank three pillars into the ground, one to support the clock, another for the refractor, and a third, "above 8 feet high, for a Style, having at top a plate of lead with a little hole for transmitting the Sun's rays." These rays fell on a platform which was carefully levelled and on which Winthrop traced a meridian line which he apparently found by bisecting line segments joining images at equal altitudes on either side of the meridian. With an accurate meridian line, it was possible to read the clock at apparent noon each day, and thus find the clock correction. The reflector's stand had its own spirit levels at right angles to each other, and the eyepiece was fitted with horizontal and vertical cross wires. Thus prepared, we waited for the critical hour, which proved favorable to our wishes. The morning of the 6th of June was serene and calm. The Sun rose behind a cloud that lay along the horizon, but soon got above it; and at 4h 18m we had the high satisfaction of seeing that most agreeable Sight, VENUS ON THE SUN, and of shewing it in our telescopes to the Gentlemen of the place, who had assembled very early on the hill to behold so curious a spectacle. ... In memory of so rare an observation, the Gentlemen present agreed to give the hill, where our observatory was situated, the name Venus's Hill. Venus was already on the face of the Sun at sunrise. First and second contact had passed but by using the reflector with its micrometer eyepiece, Winthrop was able to calculate the differences in celestial longitude and latitude between the centres of the Sun and Venus and to make a diagram showing the planet's progress across the solar disc. From this he inferred the four times of contact. He also timed and corrected the third and fourth contacts with the clock and these are listed in Table 1. What happened to his observations is a confusing story, complicated by the long delay in transatlantic communications. Winthrop communicated his results to Benjamin Franklin, who in turn was to send them to his friend James Short of the Royal Society in London. Franklin couldn't remember whether he did so or not(!). Winthrop also sent them to the Astronomer Royal, the Rev'd James Bradley (although they may not have reached him before his death in July, 1762), and to his successor, the Rev'd Nathaniel Bliss, who never sent him a reply. So eventually Winthrop (1764b) sent them directly to Short, who published them in the Philosophical Transactions, and who combined them with observations at the Cape of Good Hope to derive a solar parallax of 8.25". Short (1762), however, had already studied observations from different places in Europe, and comparing them with observations at the Cape had deduced a parallax of 8.65", only 0.14" shy of the true value as we now know it. Apparently Ben Franklin had done as Winthrop asked, for in this 1762 paper Short referred to Winthrop's observation, but said he did not use it since the longitude provided by Winthrop was uncertain. However, Short worked backwards from the parallax to deduce the longitude of Winthrop's station at St. John's as 3h31m12s. This is just 2 seconds of time different from the longitude of Kenmount Hill. The way in which Short handled the times of contact collected from many different stations highlights a striking limitation (from our standpoint) of eighteenth-century means of handling multiple observations of the same phemomenon; statistical knowledge had not advanced to the point where anyone knew how to deal with many observations. All they could do was to combine them, as Short did, two at a time and then average the results. Eventually, when statistical analysis had matured, Simon Newcomb (1891) was able to carry out an exhaustive study of both the eighteenth century transits, and arrive at a solar parallax of 8.79" with a mean error of ±0.051".